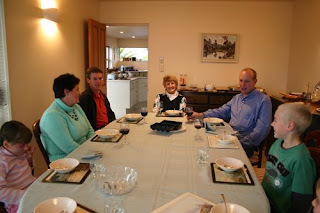 We went up to mum's for a mother's day lunch. It was a lovely lunch of roast lamb & veges, with fruit salad for dessert. May 7 - Strange Sign? April 1 - Brent Can Swim!